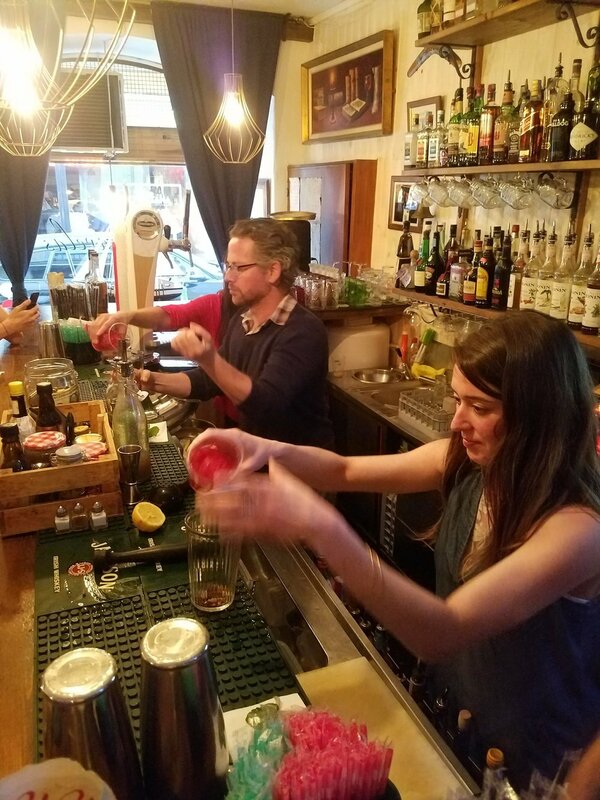 A bunch of us joined an unofficial mixology master class at a local bar called 4 Caravelas. A Remote Year favorite, the owners Marcus and Tania are absolute gems and taught us how to make some of their award-winning cocktails on one of the best party streets in Lisbon. We did speed competitions, one-armed, and blindfolded partner face-offs. It was an absolute blast! We spent an awful lot of time here the rest of the month because of that sweet, sweet RY half price discount. 4 Caravelas definitely has a special place my heart, and Atlas made sure to leave our mark. 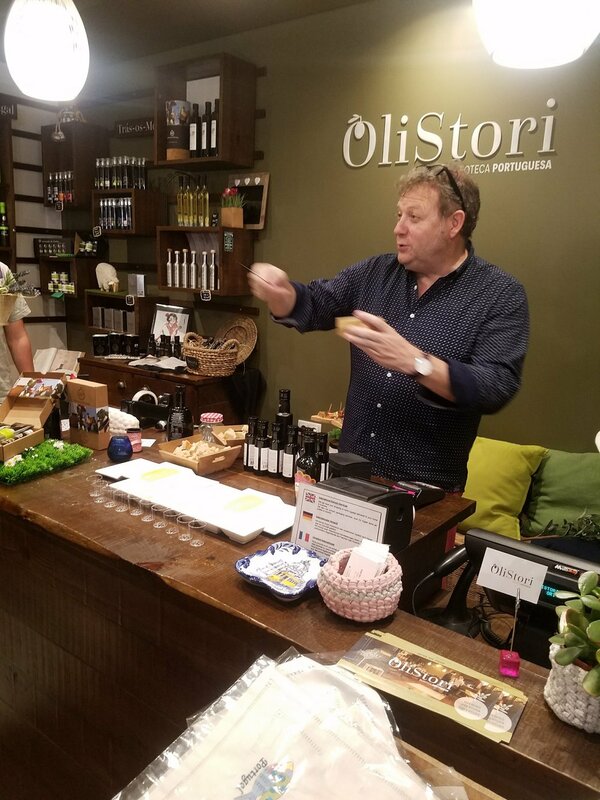 It wasn't my favorite event, but it was super interesting to learn about one of the main major exports of Portugal: their incredible olive oil. It was strange because we basically were just taking straight shots of olive oil to the face, but there were some great flavors, though. Different kinds of olives, basil, fruit infused, chili, on and on. Can't complain about the company, either. Definitely the most notable and unforgettable experience was when I decided to attend Startup Weekend. Techstars is a very well-known startup accelerator based in the US and they founded Startup Weekend, a 54-hour group event dedicated to learning how to create a real company from the ground up. Participants get to meet world-class mentors and investors who are there to guide you and your team from idea to the business plan through your live pitch at Demo Night. I rubbed elbows with some really incredible people and local entrepreneurs. Coactiv for the (2nd place) win! It was a ton of work and I probably wouldn't do it again unless I had an idea I was passionate about, but I am so proud to say my team and I won 2nd place! My team leader plans to continue pursuing the business and I wish him all the luck in the world. One of my favorite nights was this live art show we saw in the Igreja do Carmo. It's famous in Lisbon because it was destroyed in the 1755 disasters and the roof collapsed. It remains without a roof to this day and is a very popular tourist attraction. After dark dozens of LED projectors were set up to play a gorgeous visual art show telling the story of Lisbon's history using the stone walls of the church as a canvas. Every inch was saturated with incredible imagery and captivated the few hundred of us inside. It was one of the most beautiful things I think I've ever seen in my entire life. I rounded off my month in Lisbon by leaving the city altogether and took a day trip up to Porto. It was a beautiful city, but I felt like it was exactly like Lisbon. I probably wasn't there long enough to make a fair judgement call, but first pass walking around it felt like a more tourist-y version of Lisbon. We walked around the main square, had lunch by the river, and explored the city on foot. I've been in Valencia for almost a week, so I'll have some updates soon. So far the vibe is way different than Lisbon and I'm totally loving it!